3. Add the cream cheese and milk. Mix well with the Rotini. This will create a sauce to coat the pasta. 4. When the sauce is boiling, add the tomatoes, spinach,shrimp, pepper. Let the shrimp cook for a about 2 min till pink. Adjust the seasoning by adding salt, more pepper and if required the chili flakes. Serve hot with a green salad and garlic bread. 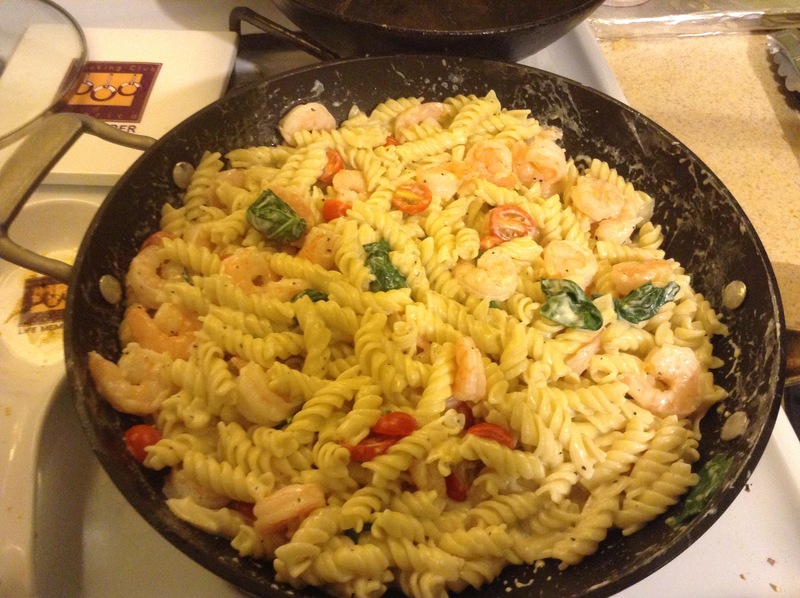 This entry was posted in Chili flakes, Cream Cheese, Milk, olive oil, Pepper powder, Rotini, Shrimp, Spinach, Tomato and tagged cream cheese, grape tomatoes, milk, Rotini, Shrimp, spinach. Bookmark the permalink.